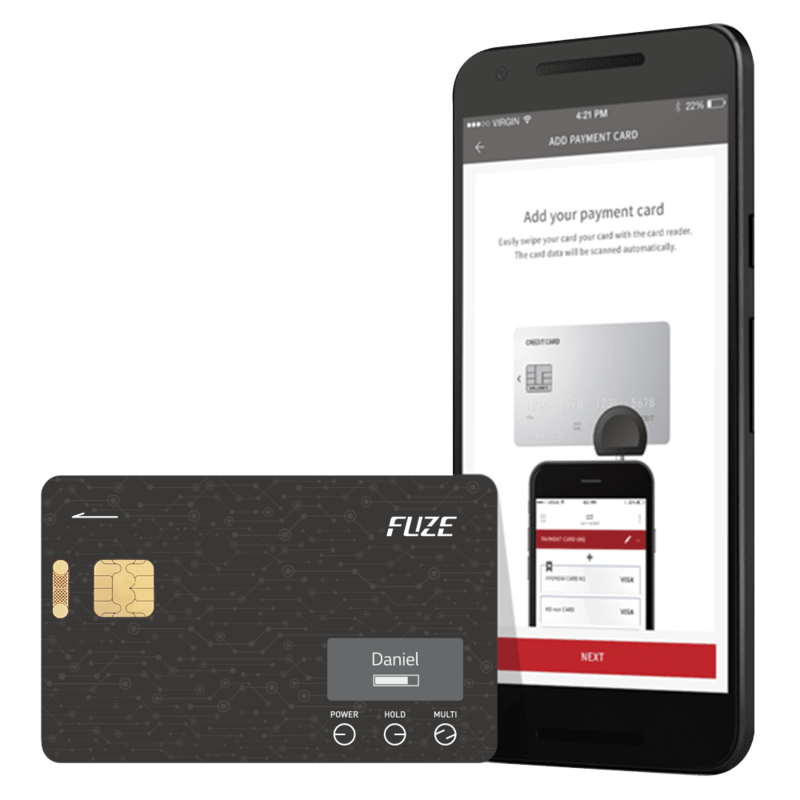 Easily add new cards with a single swipe eCARD holds up to 30 different cards and eCARD Manager hold unlimited amount of cards Receive a notification on your phone whenever you leave your eCARD behind. Add all of your Visa, Master Card or American Express cards into a single eCARD and use it just like a normal credit card anywhere. All kinds of membership card can be magnetic reader, barcode scan, manual card number input. 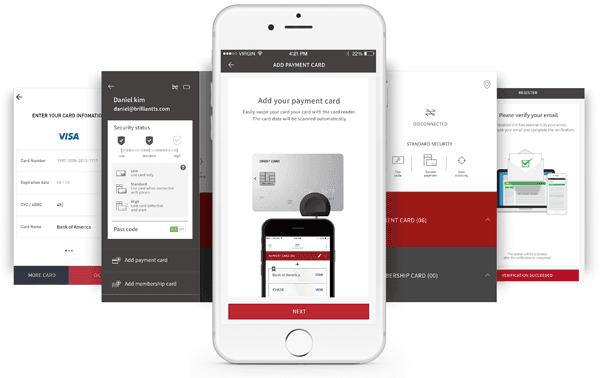 eCARD manager is a controller of eCARD that incorporates magnetic stripe / NFC / Bluetooth / EMV technology to merge bank / loyalty / membership / security / access cards into a single card. Simply add, manage and sync all kinds of plastic card to your eCARD. eCARD MANAGER is an integrated management app that uses Brilliant smart multi card. 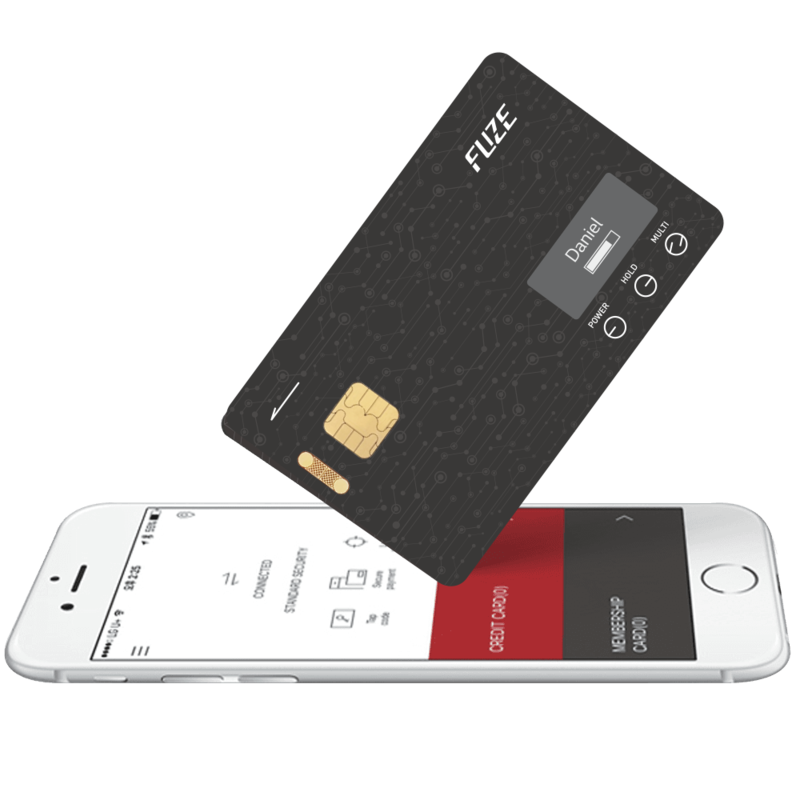 It can be used as a smart multi card, BPAY card, FUZE Card, GSM smart card.